Fresco is an ancient painting technique for the decoration of wall surfaces. Even though some of the earliest frescoes date from 2600 BC, it could be said that fresco painting reached its peak during the Italian Renaissance and Baroque periods. 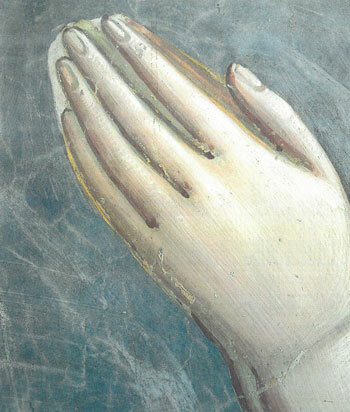 In the fresco, the pigment is applied while the wall surface is still wet, meaning that the color actually penetrates the material of the wall. This gives remarkable resistance over time. Even still, however, frescoes require protection, conservation and restoration. Dr. Antonio Rava, an expert conservator and restorer of frescoes, has worked on numerous distinguished examples from varying historical periods. He has thus acquired a body of technical knowledge which has gained him an international reputation as a leader in the field. 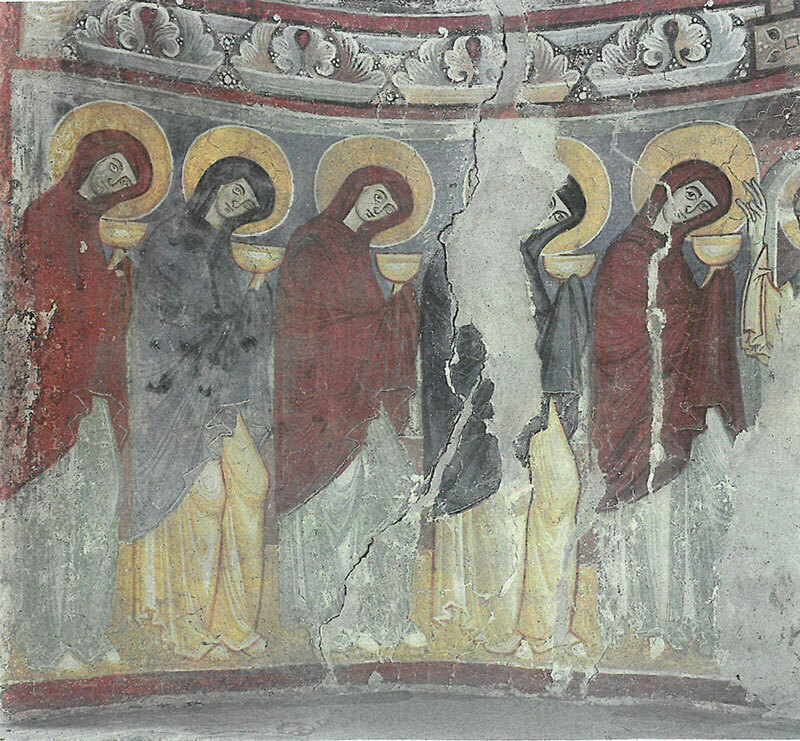 The Workshop on Fresco Techniques and History will address both practical and the theoretical aspects. The daily schedule will start with morning lectures covering a series of topics: painting techniques of different periods, contemporary issues in restoration, Italian restoration theory, and the scientific approach to the study of materials and individuation of the conservation state. 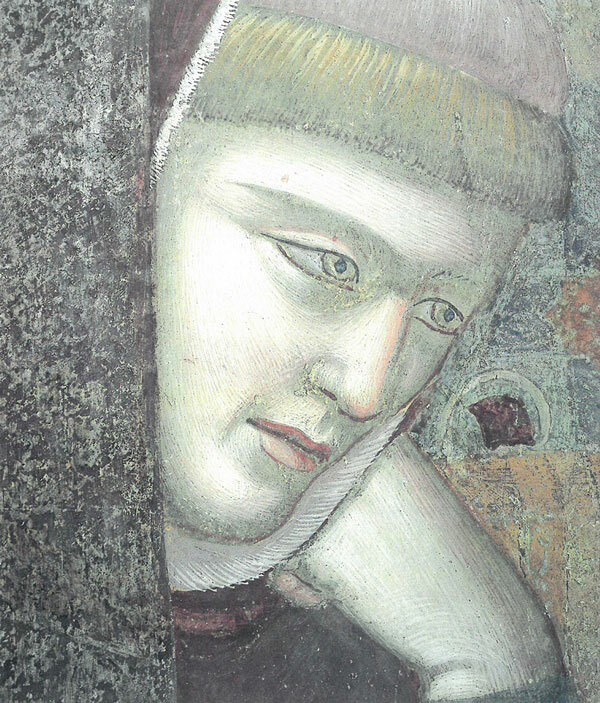 The afternoon will be dedicated to practical fresco work and its different phases. Work will be performed using custom moveable stands with the goal of completing one or more paintings. It will be possible to use lime-compatible pigments, in order to open our inquiry to the technical developments of modern forms of fresco expression. This is a rare speciality even though pursued successfully by a few artists, for example, Francesco Clemente of the Transavanguardia. Concurrently, day visits to important fresco sites in Piedmont will be organized. There are many, for example, the monastery of Novalesa near Susa where you can find Romanesque frescos from the X and XI century or the Church of the Mission in Mondovi Square where you can admire the magnificent cycle by Andrea Pozzo, and in the same day the Church of San Fiorenzo in Bastia Mondovi (the “Sistine Chapel of the Alps”) with a cycle by Savoyard and Piedmontese artists that covers all the surfaces of this church from the XV century. 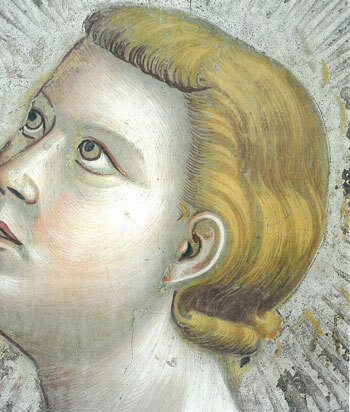 Other important fresco paintings include the Santa Maria Pulcherada in Settimo, a fresco from the year 1000, the sanctuary of the Consolata, Palazzo Madama, the Church of Croce in Carlina square, the castle of Parella near Ivrea. All these fresco cycles are fully restored or in course of restoration. The course will last six days and will be entirely in English. It will offer a full immersion in a field that is at its most advanced only here in Italy. All necessary materials will be provided to participants. The workshop promises to be inspiring not only to art historian and art restorer/conservator but also to visual artists who wish to explore this antique, but modern, painting technique. Morning: A general orientation on technique, restoration and research. Afternoon: materials are provided, movable stands are created, and a catalogue of possible fresco projects for students developed. Morning: Lecture: the antique fresco, from the tomb of the diver in Paestum to the Etruscan cycles of Tarquinia and Cerveteri and the Roman frescoes of Pompei and Rome. Afternoon: coating of lime plaster and sand in various layers, dusting, incision of a preparatory drawing. Morning: Byzantine and Romanesque fresco in their different Eastern and European sites, decorative painting and Romanesque architecture from the High Middle Ages. Afternoon: the creation of preparatory drawing, preparatory cardboards, tests on colors in contact with lime, use of organic bonders for finishing touches. Morning: Renaissance fresco, the discovery of the “good fresco”, extraordinary creations in Tuscany, other creations in Lombardy and Lazio. Morning: Manneristic and Baroque fresco, a renovated technique for special effects, the trompe l’oeil, quadrature painting, the dry technique and gold coating on wall. Morning: modern fresco, the return to order, modern inventions, acrylic on wall, the Keith Haring case, street art and graffiti. Afternoon: work in situ, creation of a wall painting with my participation. Master’s degree in Conservation from Istituto Centrale del Restauro in 1978 and master’s degree in Architecture from Politecnico in Torino. Chief restorer selected by Public Administration in Beni Culturali in 1980. In Rome at Palazzo Barberini and after two years became a private restorer and opened a studio in Torino and in Rome. After winning a scholarship from the US – Italy Fulbright Commission, lived two years in New York to develop the study of the conservation of Contemporary Art in U.S. Institutions, working in different private specialized studios. for the last thirty years, he has worked in Italian and foreign institutions for the conservation of works of art, continually deepening conservation research and experimentation in collaboration with university institutions in different fields. Worked with institutions for the realization of meetings and lectures and has been responsible for Project INCCA at the Galleria d’Arte Moderna of Turin. Creation of a network for Contemporary Art Conservators. For the last eight years, Dr Rava has been teaching restoration at the Accademia Albertina of Turin in the cutting edge laboratories of the Conservation Department. Dr. Rava also teaches history and technique of conservation at University of Turin and Politecnico of Turin as a contract teacher. He teaches in other institutions such as Istituto Centrale del Restauro and Scuola Normale di Pisa, transferring his experience to the new generations of restorers. Dr. Rava’s works have been published extensively, and he has participated in the international debate about the role of restorer and defining the appropriate nature of the profession. The laboratory in Torino is fully equipped with all instruments necessary with a special emphasis on the study of materials and technique of execution and stratification of different phases.